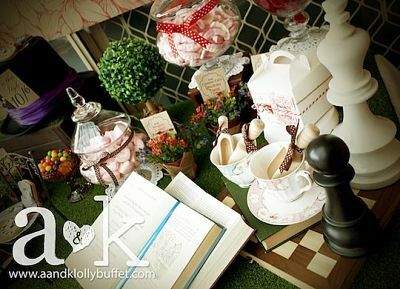 Astra, from A and K Lolly Buffet, shares the Alice In Wonderland, Mad Hatter Tea Party. Astra plays out the chapter of one of the most adored childhood classics, Alice in Wonderland by Lewis Caroll. 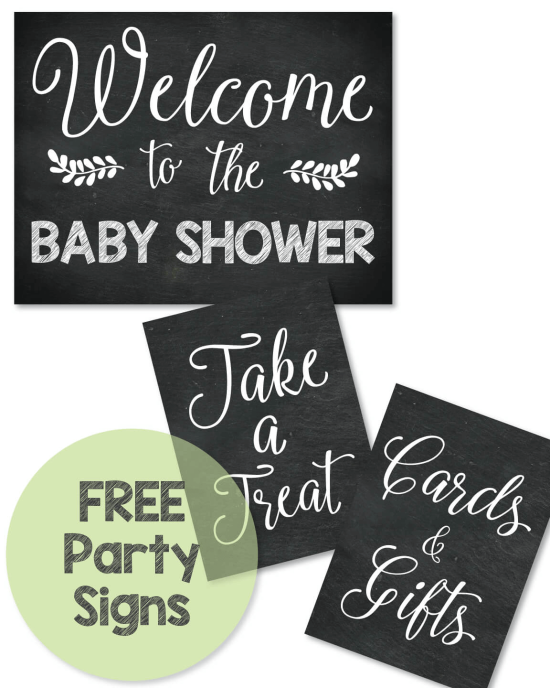 This classic baby shower theme is sure to be both traditional and unconventional. 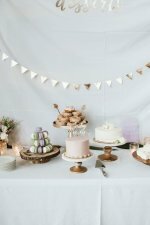 The baby shower decor is simple but definitely magical: Take little doll chairs and place a tea plate with a teacup on top. Or, take tree stump (real or fake). If green grass fabric is outside of your budget, try placing a dark green table cloth underneath. Fake trees and flowers are additional little extras to include in Wonderland’s forest. If the season is right, local flowers and shrubs can also be used. 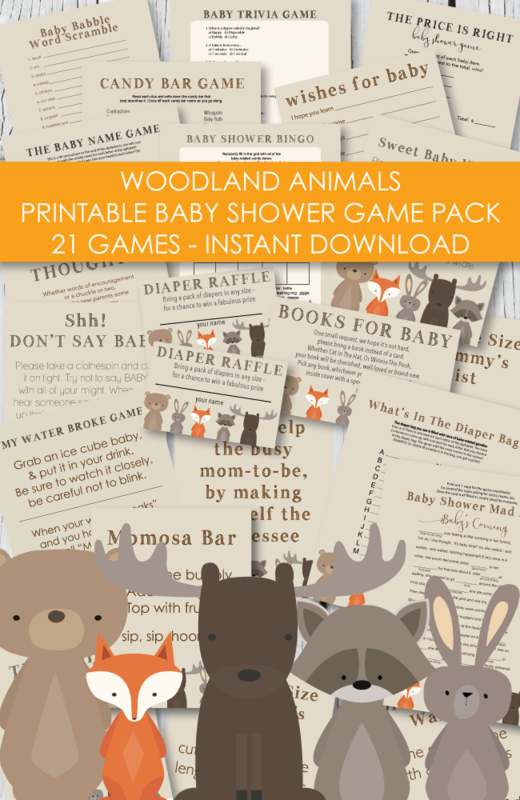 Don’t forget the mushrooms in your baby shower decor. Alice cannot seem to avoid them in her journey through the wacky world. A and K Lolly Buffet used fake ones, but jumbo ones found at local stores work well too. 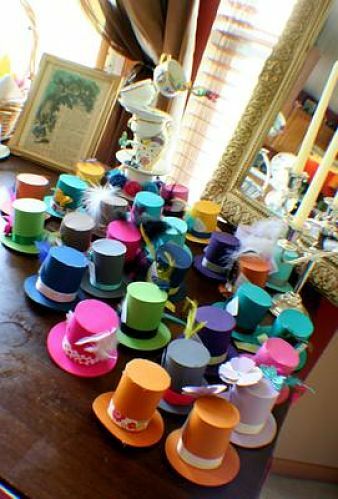 Try adding a bit of food coloring to make them more suited for Wonderland. Additional effects to also consider include fake butterflies, caterpillars or rose trees. Readers asked where to find the sliced wood pieces - Amazon has them in all sizes - you can even get cute wooden coasters! Try placing one or two plates on top of one another, followed by a teacup on top. If you are especially good at positioning these adorable tea sets, place another tea-top on top of the bottom tea-top. 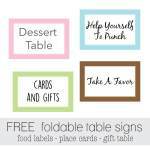 Within the teacup, fill in some yummy goodies. 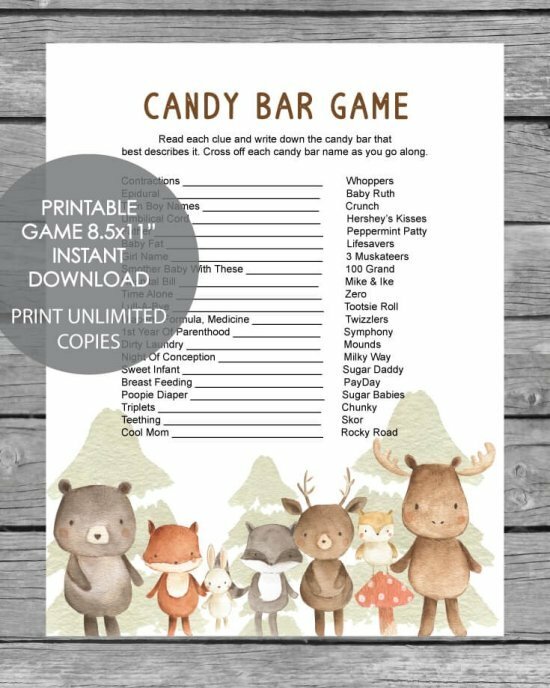 This includes jellybeans, jaw-breakers or other colorful candies and chocolates of your choice. Finally, finish by placing cookies securely within the candy. These ones are sugar cookies designed delicately with frosting. 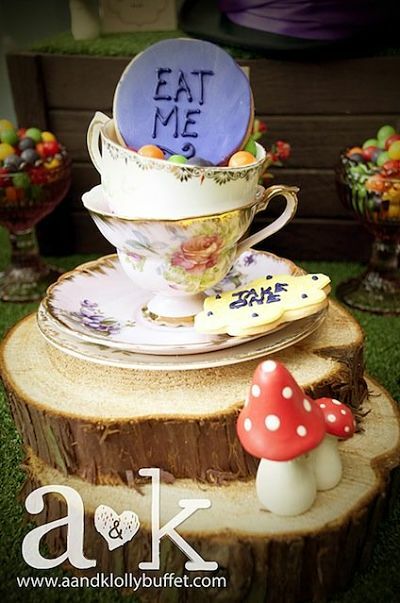 Little signs saying “Eat Me” and “Take one” bring out even the curious little Alice hiding in us. 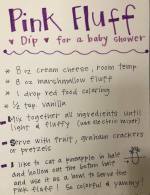 Other than different types of delicious cookies, this baby shower also featured a variety of candy. These included strawberry, caramel and even candy based on the Cheshire Cat, the Laughing Teeth Lollipops! 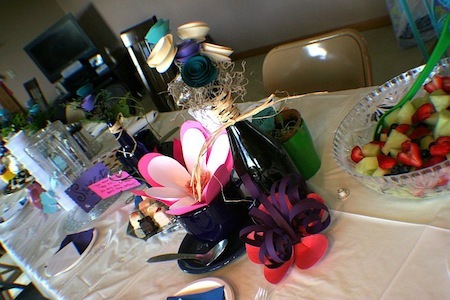 Additional settings at the dessert table or elsewhere include Mad Hatter’s famous purple ribbon hat. There are also over-sized chess pieces for both Alice’s and the Queen’s Army. 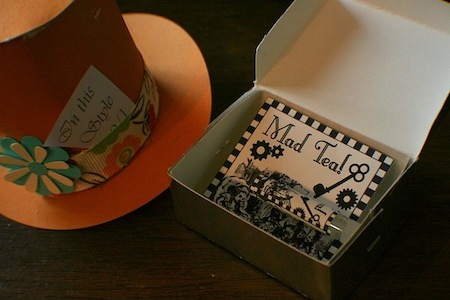 The baby shower guest book is personalized by having a page dedicated to the chapter on the Mad Hatter Alice In Wonderland Tea Party. 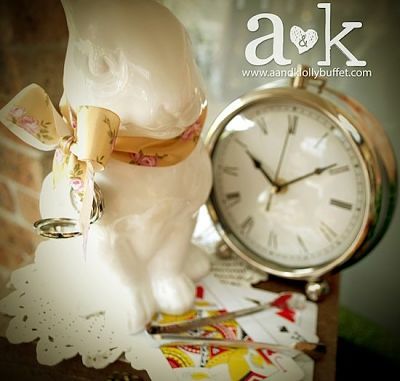 The White Rabbit also make his appearance, along with a time-piece! For less expensive options, consider a stuffed bunny rather than a glass bunny. 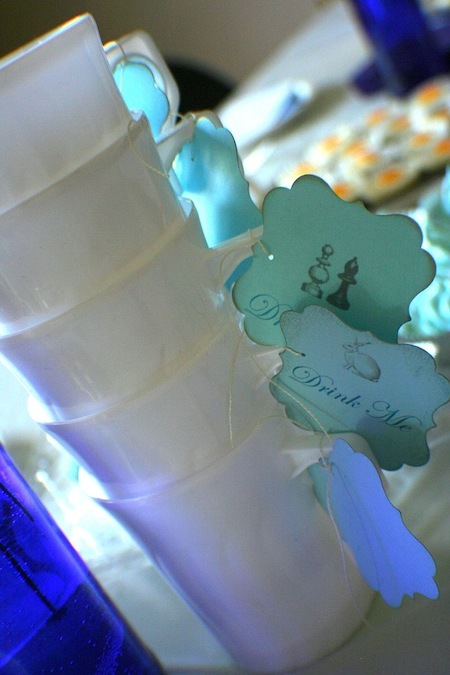 If you do decorate with an elegant crystal bunny, make sure to keep out of reach of children as this baby shower did. 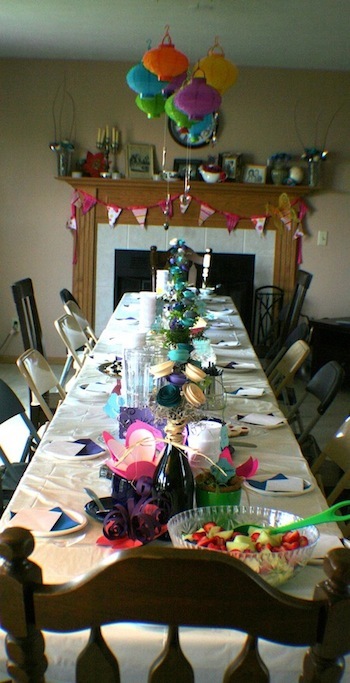 Other alternatives could include having antique clocks and pocket watches throughout the table and party room. The deck of cards, or the Queen’s Army, can be scattered around tables, and underneath food platters and dessert stands. Finally, rip out pages of an old book or even an overused Alice in Wonderland copy. Write one large, block letter out on to each paper. Spell out a slogan. 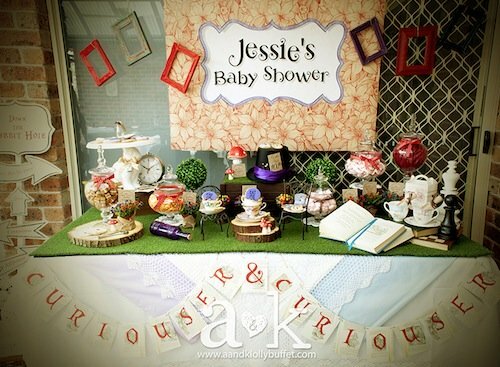 In this case, A & K Lolly Buffet used one of Alice’s famous lines to describe Wonderland (or in our case, baby shower) “Curioser & Curioser”. This was such an exciting journey to go through, though our stomachs rumbled quite a bit at the end. Thank you Astra, Kring and Aphro for sharing this beautiful concept. 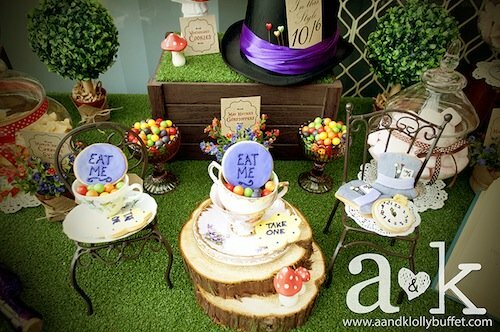 Most of the decorations are hand-crafted including the lolly, topiary, labels for the flower pots and the Mad Hatter hat. 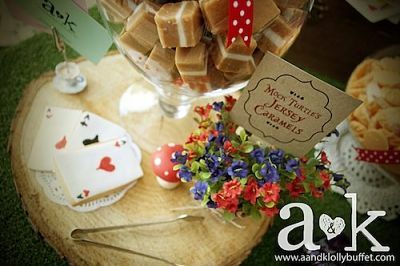 For more information, contact Astra at A&K Lolly Buffet. Have i gone mad? I'm afraid so, but let me tell you something, the best people usually are. 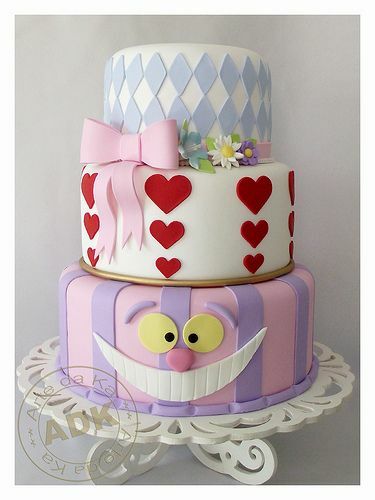 If you are looking for Alice In Wonderland cake inspiration, here ya go! So clean, cute and perfect for this theme! 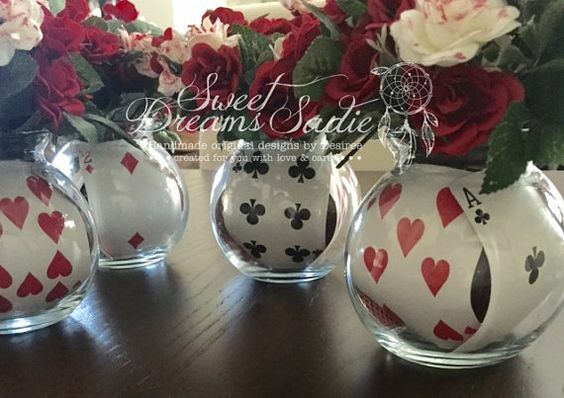 Alice in Wonderland Baby Shower Centerpieces - for an easy and affordable baby shower centerpiece idea, simply buy some glass bowls / vases at the dollar store and tuck cards into them. You will need to place a smaller container of water inside the vase - and place the flowers in it - so the cards do not get wet. 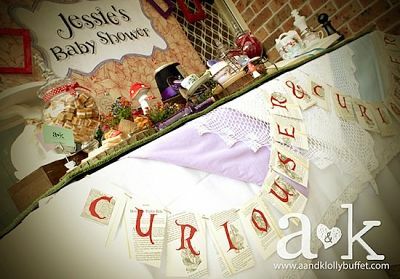 This Vintage Alice in Wonderland Mad Hatter Tea Party Baby Shower theme idea was submitted by by Erica from Belvidere, IL. The theme was everything Alice, but it had to be mad! 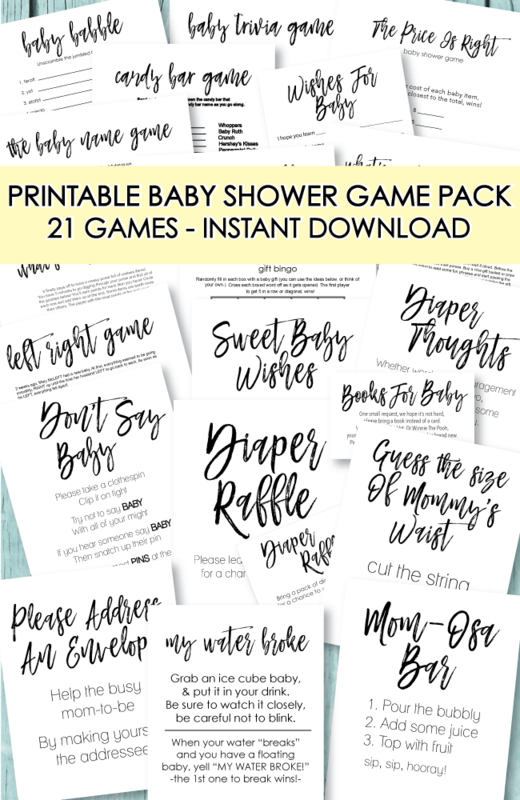 Our shower journey began with the Alice In Wonderland baby shower party invitations which were all handmade with vintage Alice characters included. 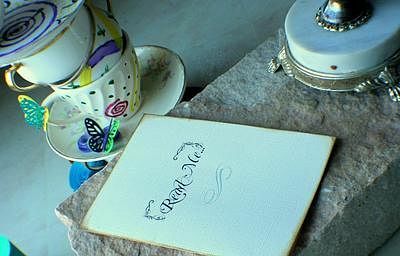 Antiqued cream card stock with with feather quill script invited you to simply "Read Me" on the cover. When opened, you were instructed not to be late for this important date or the Red Queen would have her way! 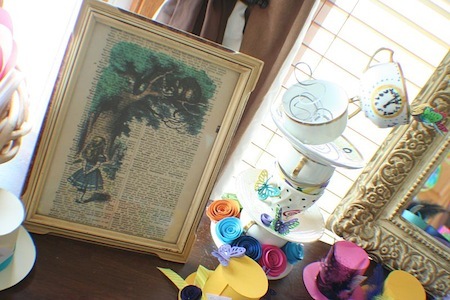 Once guests arrived to the Mad Tea party, they were greeted with a spectacle of items to view. A large framed chalkboard stood at the door warning "We're all Mad Here!" 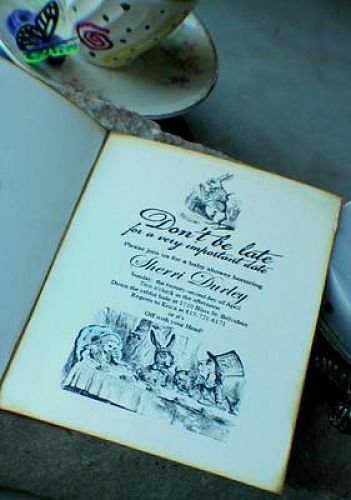 with a white rabbit near by to usher guests either this way or that. Guests then came upon a very long table set for a Mad Tea, but before they could sit, they must be dressed in their best! 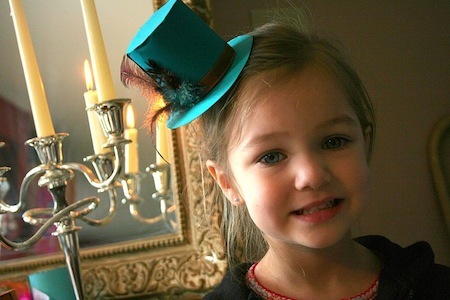 A table of handmade top hat fascinators from BlissStreet on etsy awaited for their choosing. A large gilded mirror with tea cup and saucer sculptures adorned the table to really bring about the mood. 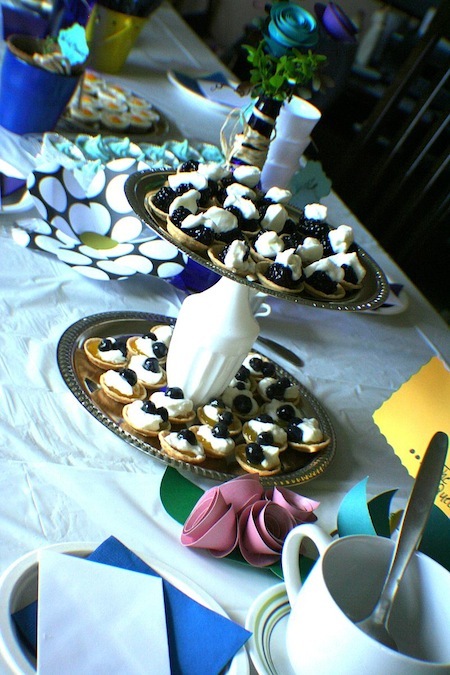 Once seated at the table, guests could explore the table filled with tea cups, saucers and spoons of varying sizes, mini tarts of all flavors, meringue whips,petit fours, fruit and of course tea, and un-tea. An array of brightly colored lanterns hung above in a cluster, complete with tea spoons floating through the air! The multiple centerpieces were made from recycled wine and blue bottles filled with spanish moss and handmade blooms also from BlissStreet on etsy. Hand written signs were spaced that included personal quotes from the characters of the story. 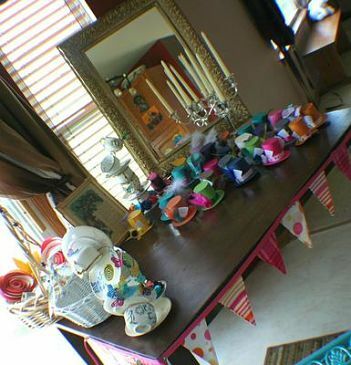 While guest tasted their treats and sipped their tea, the mother to be pulled pictures from a hat that matched those attached to guests tea cups. The matching pairs won mad little prizes. Also, the tag on her hat had a matching tag to a guests. 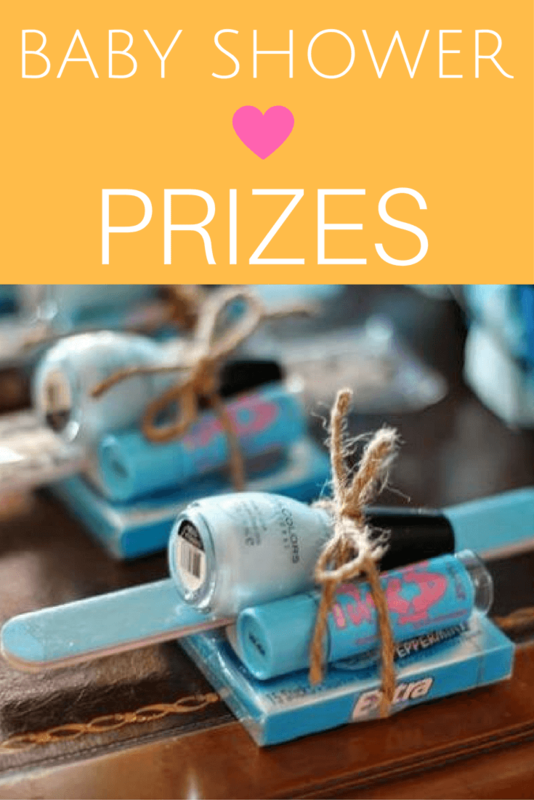 That guest also won a prize. After the nibbling had ceased, we played a game where guests needed to answer riddles. Some easy, some difficult, all mad and fun! As the madness left the room and guest began to make their way out of Wonderland, gifts of custom Wonderland oil perfume from SteamBathFactory on etsy were given as favors to remember a beautiful day. 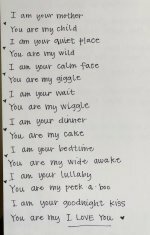 I love the way you pulled everything together. 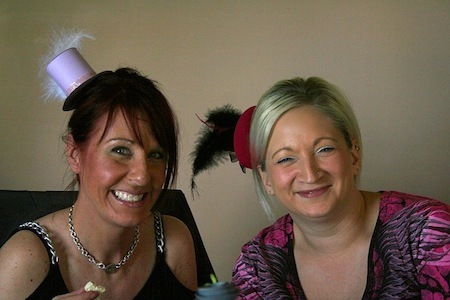 I am curious to know where you got the mad hatter fascinators from or did you make them? 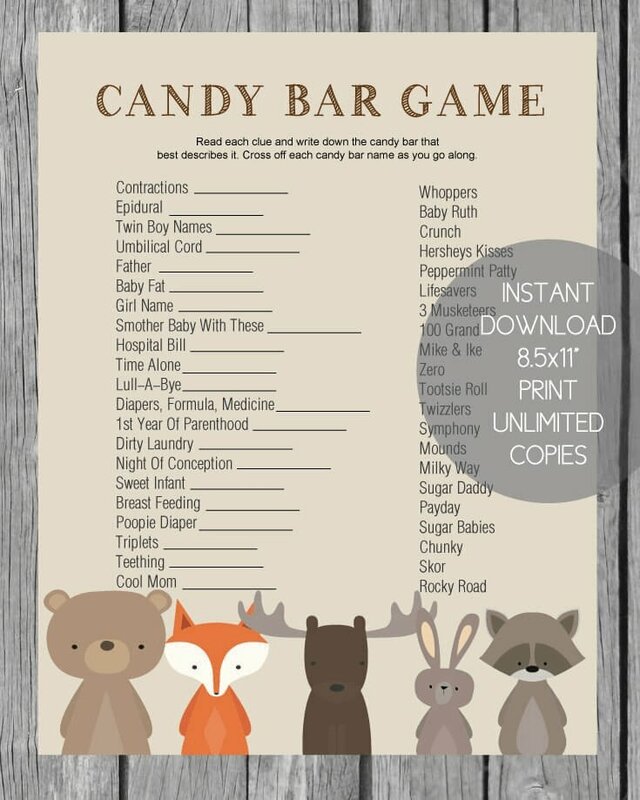 What a great theme idea for a baby shower! The pictures you took are amazing! Thank you for sharing and inspiring me with cute ideas!